More on the Chief Raxxess Security Locking Door for Economy Series Racks (Black) SCDR below. 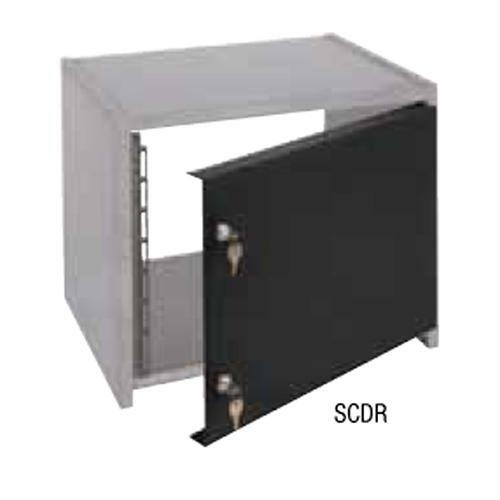 The SCDR security door is specifically designed to fit Chief Raxxess' ER Economy series racks, providing easy protection against both theft and damage. Steel security door mounts to rack rail. Available in 8, 12, 14, 16 or 20 spaces to match the ER series. Includes key locks and all hardware. Easy mounting on standard rack rail with all necessary hardware included.